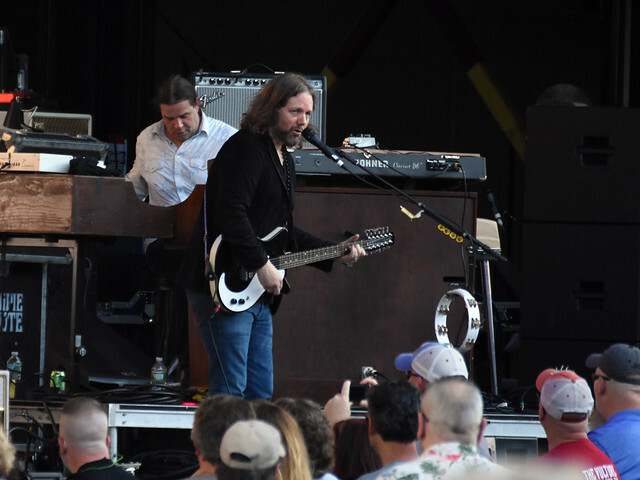 Gov’t Mule and The Avett Brothers kick off Dark Side of the Mule in NY Reviewed by Diane Woodcheke on July 14, 2018 . 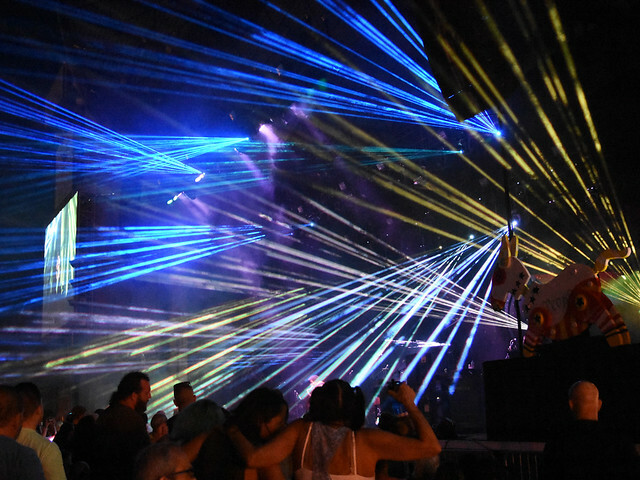 Now that the Summer concert season is in full swing, and with so many great tours going through town, there is so much to look forward to! But one particular tour is just a little bit extra special. 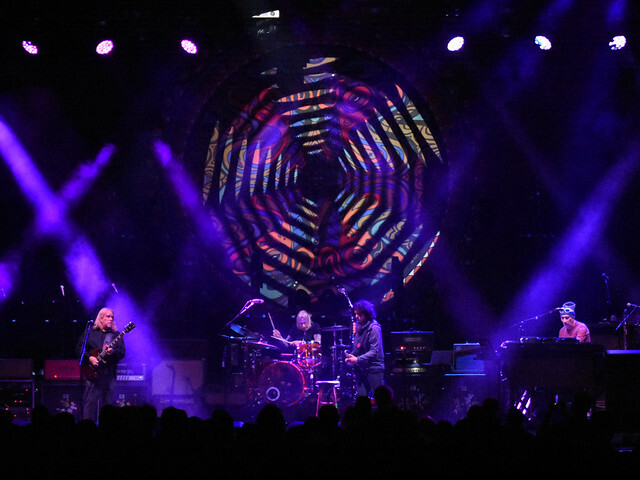 Southern Rock jam band Gov’t Mule, originated as a side project of The Allman Brothers Band in 1994, kicked off their summer tour here at Jones Beach, marking it extra special as it is one of only six shows they will be performing on this tour that will feature their Dark Side of the Mule tribute to Pink Floyd. 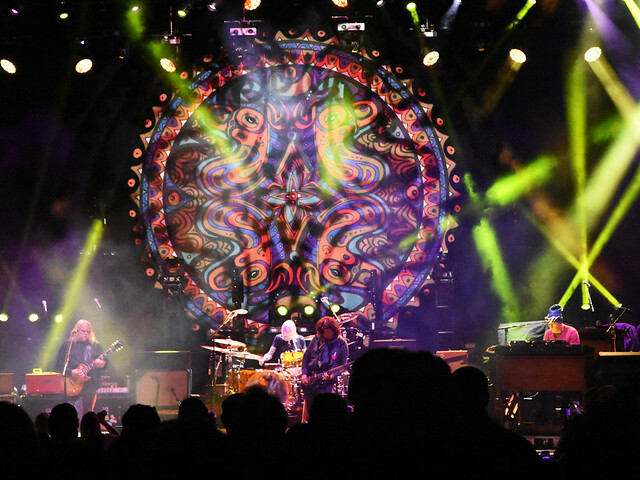 They have only previously performed this show twice, once in 2008 in Boston, MA on Halloween and again in 2015 at the Mountain Jam Festival. 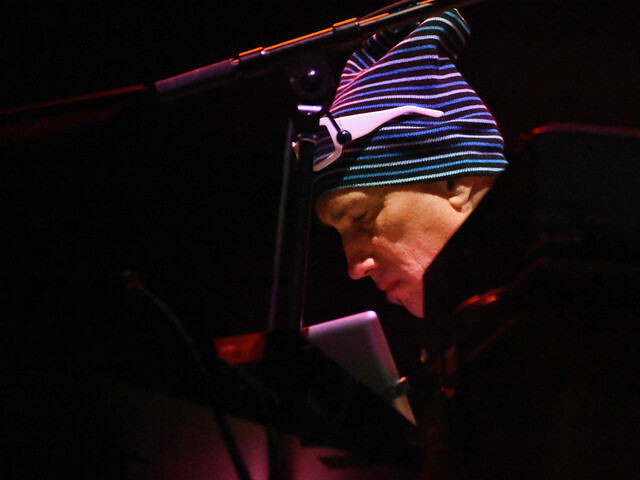 In 2014 they released a live album, Dark Side of the Mule, recorded from the Halloween show. Along with that album, Mule has released an impressive collection of twenty-two albums to date, including their latest release in 2017, Revolution Come… Revolution Go. 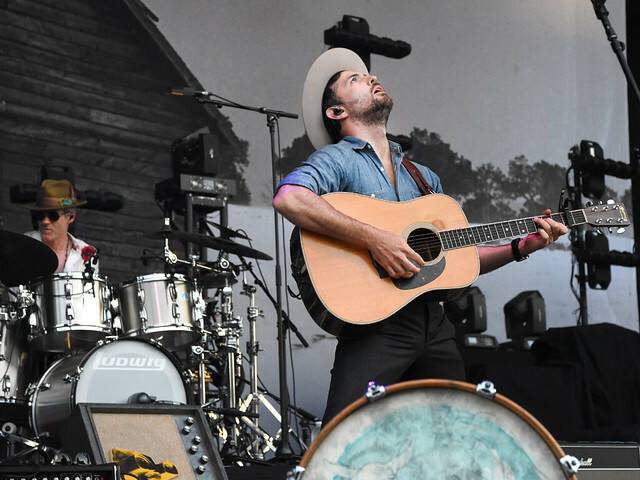 With the weather cooperating, it was the perfect night for an outdoor show and the parking lot was filled with tailgaters gearing up for this much anticipated show. 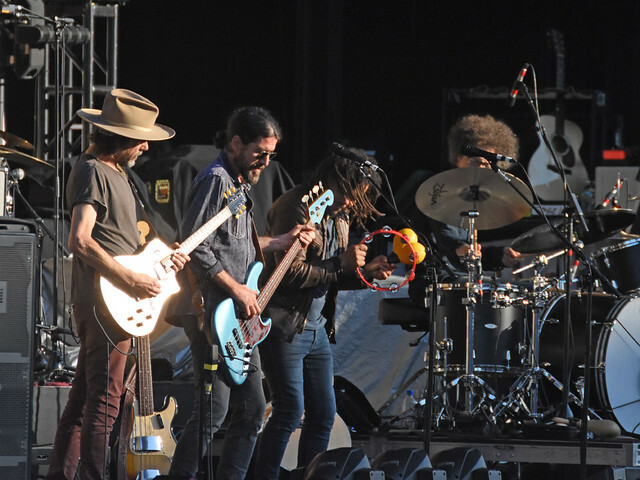 With three acts on the bill, the first act is comprised of former members of the Black Crowes; The Magpie Salute formed as its own band less than two years ago in late 2016. 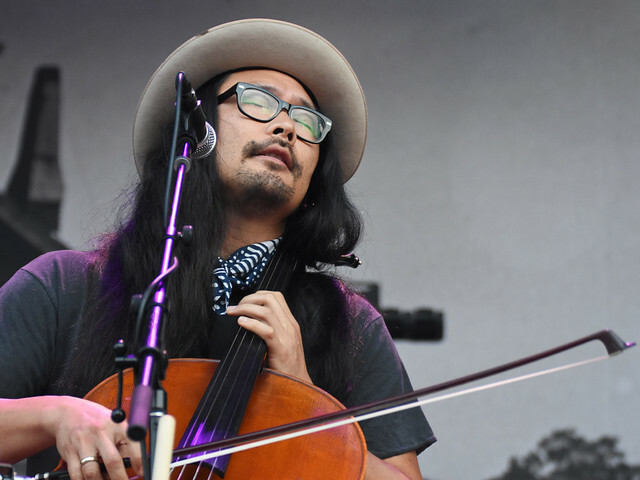 The well-seasoned musicians performed live throughout 2017 and their fan base grew swiftly as they performed familiar songs from the Black Crowes and many from Rich Robinson’s and Marc Ford’s solo careers. But fans can expect an album of original music coming out really soon as High Water 1 is set to drop on August 10th of this year. Kicking off the evening promptly at 6:30,all six band members came out on stage and got the grooving vibe going. 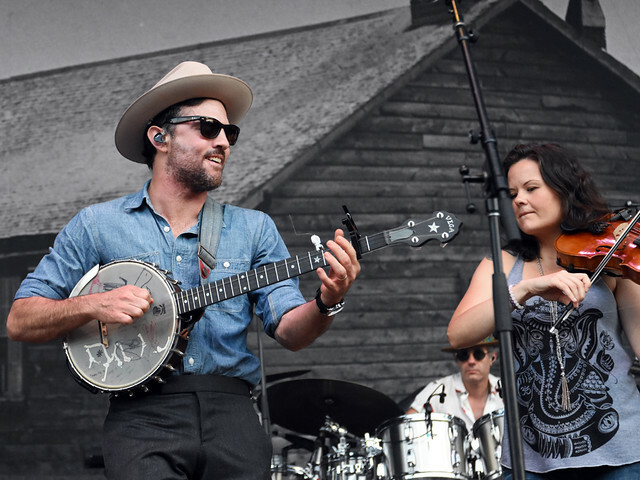 They performed for a full half hour, and before concluding their set Robinson said, “We are a new band of old guys,” then after pausing to laugh he continued, “We’re actually in our twenties, just living hard! Here’s a brand new song that will be on our upcoming record.” And then they concluded the set with what will be the title track of the new album, “High Water.” Keep watch for the new album and when this band will be performing again as they are definitely going to be on the rise. 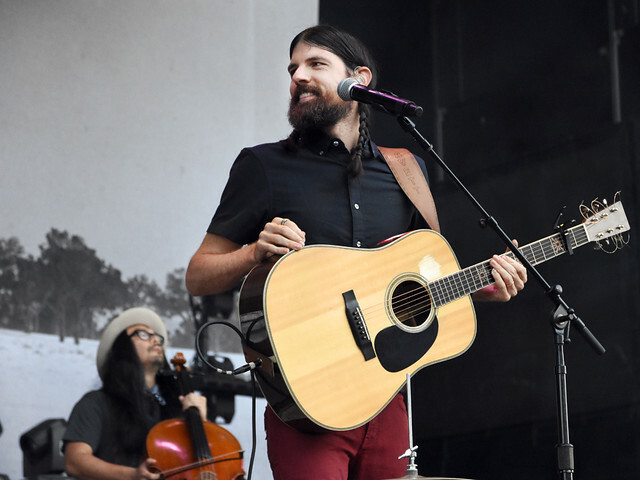 Next up to keep the good vibes going was the Avett Brothers, who are on the scene nearly twenty years now since forming back in 2000 in Concord, NC by two brothers, Scott and Seth Avett. After releasing their first full-length album in 2002, Country Was, the band continued to evolve and gain momentum. 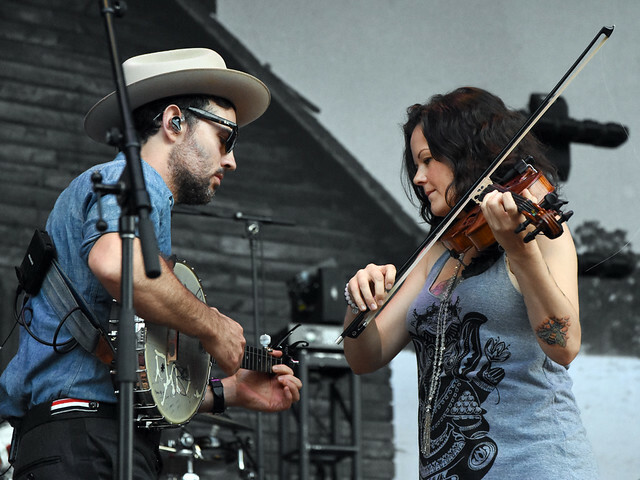 In 2007 they won the Emerging Artist Award as well as the Duo/Group of the Year Award by the Americana Music Association, and won again in 2010 and 2011 for Duo/Group of the Year. They have also been nominated three times for Grammy Awards, once in 2013 and twice in 2017. The band has a total of nine studio albums to date, the latest release being 2016’s True Sadness. 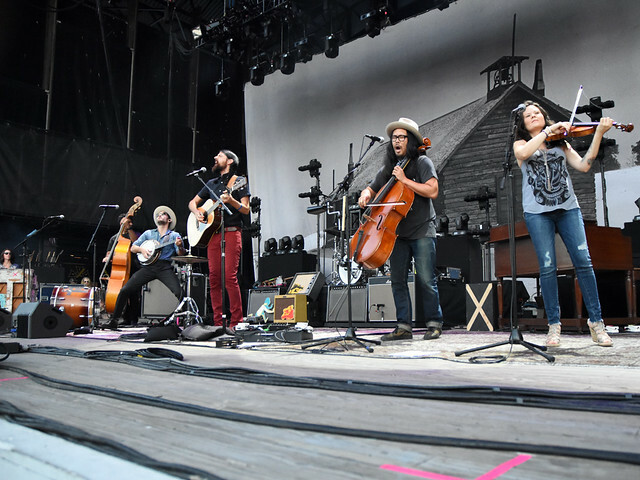 Fans came out in force for this evening’s performance as you could hear by the cheering as Scott Avett (vocals/banjo/kick drum), Seth Avett (vocals/guitar/high-hat), Bob Crawford (vocals/bass), Joe Kwon (cello) Tania Elizabeth (violin) and Mike Marsh (drums) came out to perform. Scott took a moment before the next song to ask, “How are you all doing tonight?” and the roar of cheers let them know everyone was doing just fine. 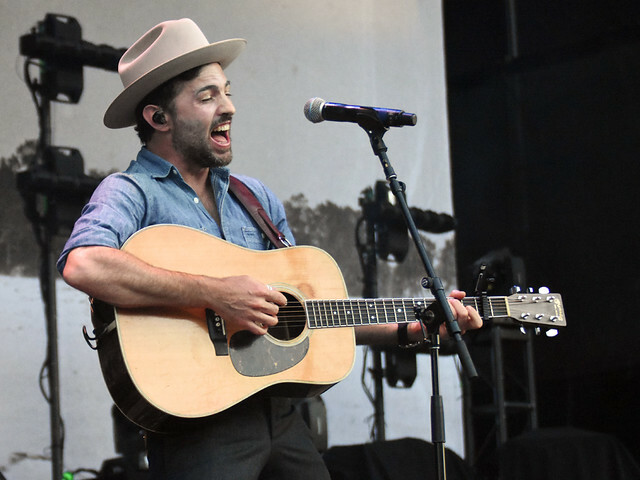 So they continued with “Live And Die,” “Laundry Room”, and “Old Joe Clark.” For the next song, “Ain’t No Man,” some fans up close got a real treat as Seth joined them in the audience to sing the song. As the sun was starting to set the hue of the stage lighting lit the band as they continued with “Talk On Indolence,” “Living of Love,” “Orion’s Belt,” “Down With the Shine,” “Head Full of Doubt/Road Full of Promise”, and “I and Love and You.” Before concluding their set they thanked the audience and then played “No Hard Feelings.” The Avett Brothers sure know how to entertain the audience and put on yet another great show. At this point, night had fallen and the tide was rising, in fact it spilled onto the venue floor and was creeping its way to the seating area, luckily it never reached that far. 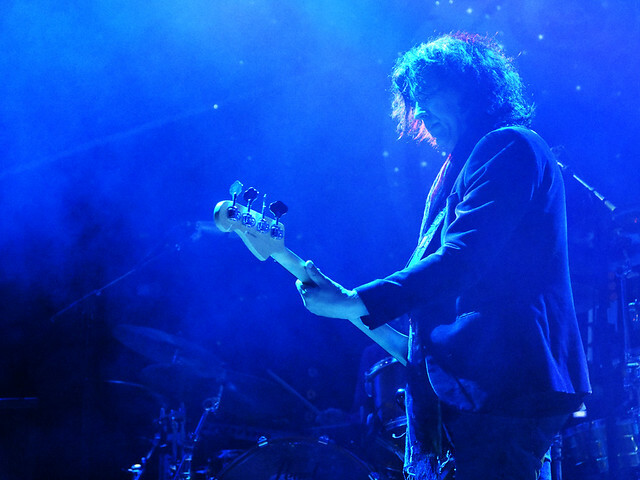 But it did not seem to matter to anyone because soon would come the act so many were waiting for, Gov’t Mule. No strangers to the stage at Jones Beach Theater, they were last here on September 9, 2016 as the opening act for ZZ Top. 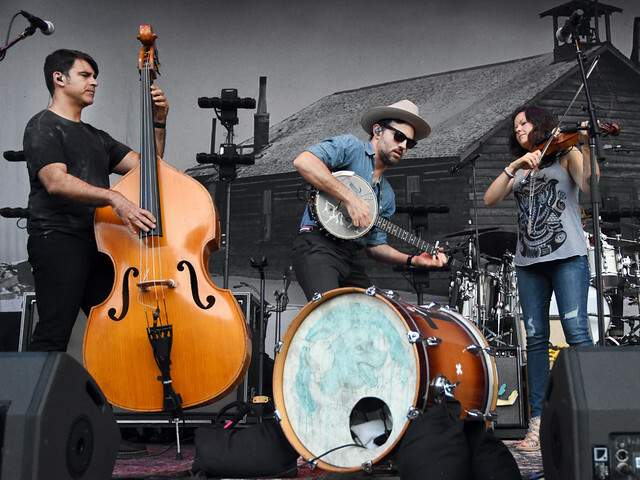 They also had an appearance on Long Island last year in July, as the headlining act on the Saturday installment of the Great South Bay Music Festival. So it was no wonder that when Warren Haynes (vocals/guitar), Jorgen Carlsson (bass), Danny Louis (keyboards, backing vocals) and Matt Abts (drums) the roar of cheering and screaming they were met with was completely deafening. It was a truly special night and one that will go down in the books for sure. 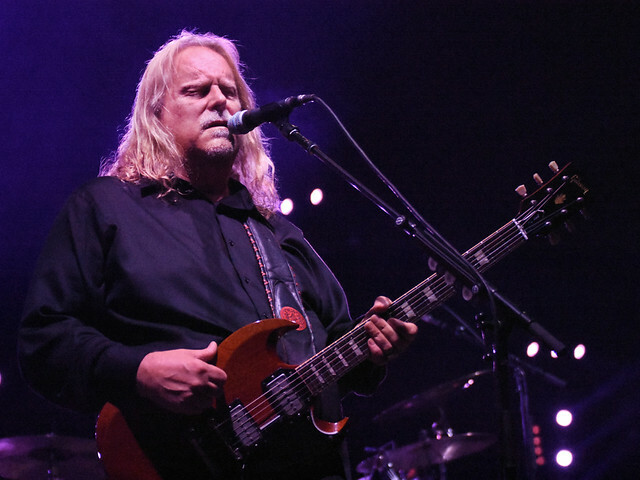 As previously mentioned, Gov’t Mule will have five more dates with this tour lineup and special Dark Side of the Mule performance, two more taking place consecutively after this show that will be in New Jersey and then Massachusetts. 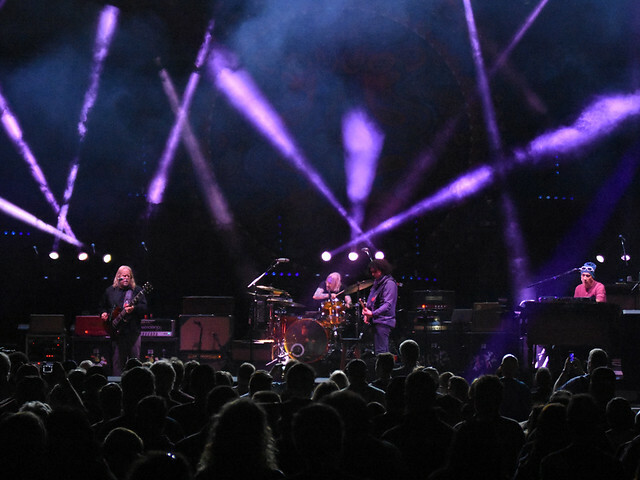 They will continue to tour throughout the United State till late September, but in late August they will perform the other three Dark Side of the Mule shows on August 23, 24 and 25 in the Midwest. Whether it is one of these shows or not, never miss your chance to see this iconic band perform live, they define the word amazing and you will always be happy to tell all your friends of the great experience you had.